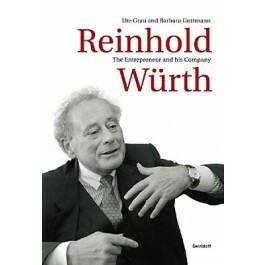 his new biography, published for the Würth company's 60th anniversary, differs considerably from its two predecessors. It fulfils the requirements of modern scientific research and discusses both the company's and the entrepreneur's current developments and activities up to the present day. The biography aims at showing what is special about the "Würth success story": The development from small business to global player, and, in the case of Reinhold Würth, from sales representative to manager, art collector and professor. The book, highly readable, addresses the general public, any interested reader.